Living… in a boy named Andy's room, after his spaceship crash-landed there by mistake. 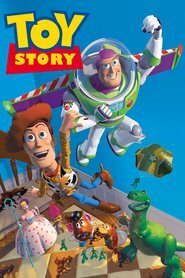 Now instead of living on distant planets with other space rangers, Buzz is living with a bunch of toys in Andy’s house until his spaceship is repaired. Interests… flying “to infinity and beyond” and defending the galaxy. 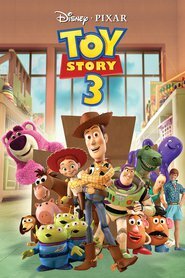 Buzz is trying to fix his spaceship so he can get back to his normal life, but instead has to deal with a bunch of toys. Relationship Status… single. You can’t ask Buzz to settle down; he’s only in this galaxy temporarily. Challenge… accepting the fact that he is just a toy, not a real galactic space ranger. The cynical and jealous Woody has tried explaining things to Buzz many times, but Buzz refuses to listen. Personality… brave and cool. Why else would Andy have kept him? He’s got wings, he glows in the dark, he talks, and his helmet does this cool “whoosh” thing. He is a protector of the universe and a shiny new toy so of course Andy wants to play with Buzz the most, which inspires more than a little jealously from his other toys. Buzz Lightyear's popularity ranking on CharacTour is #126 out of 5,000+ characters. See our top-ranked characters and read their profiles.